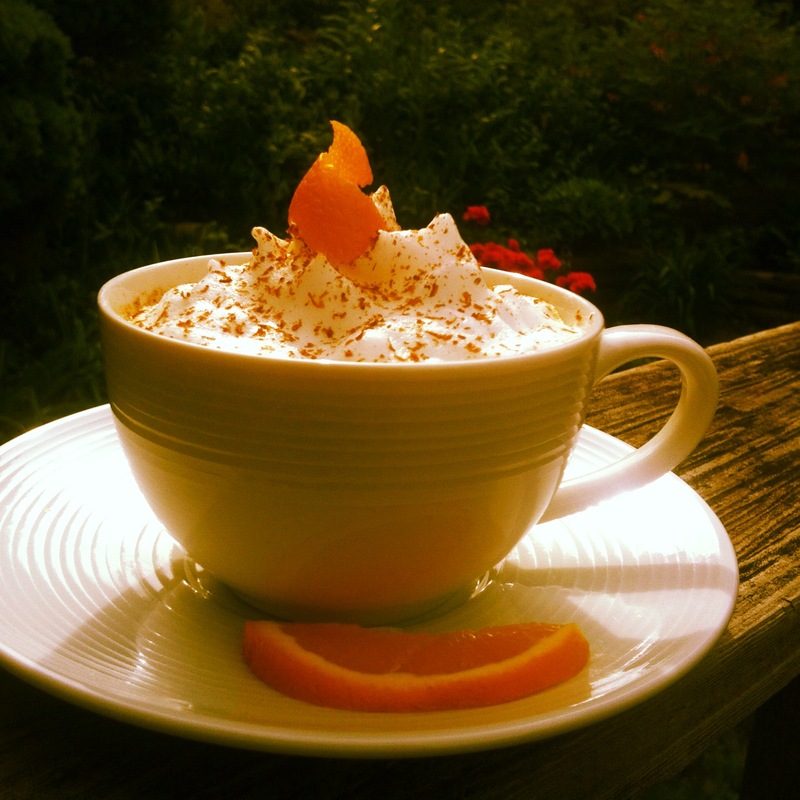 A splash of Grand Marnier, a spoonful of sugar, a little rum and a dash of limoncello turn a regular cappuccino into a rich, relaxing, smooth coffee moment. Treats like these aren’t every day, but savored in those reserved spots of time when you just need to sit and embrace well-deserved rest. It was chilly throughout the week – fig trees were brought in, sprouting pepper and basil plants covered with comforters from years past – so when I decided on a spirited coffee, I wanted something that tasted sunny and bright, sweet, just like this perfect spring day. My mind immediately went to my Mother’s secret ingredient in one of her many versions of tomato sauce…Grand Marnier. Yep, you heard me correctly – sweet orange essence cuts the acidity and harmoniously complements the simmered sauce. I like to use white wine, but you can substitute it with Grand Marnier in my Traditional Family Tomato Sauce. To make this pop-u-ccino (I call it that because the spirits really give it a POP! ), I add 1 tbsp. Grand Marnier, 2 tsp. spiced rum, and 1 tsp. limoncello to 1/2 tablespoon of sugar. Mix to dissolve before adding 1 long shot of espresso (espresso lungo). Mix again. Froth your milk (about 1/2 cup), and add steamed milk to your liking. Mount with foam and sprinkle freshly grated cinnamon. Oh, one more thing…just enjoy. what a lovely presented cappuccino. sound delicious.